Today’s marketing professionals know that marketing is more of a science than an art. And, everyone knows you can’t be scientific if you don’t run tests. For that reason, Google Analytics is perhaps the most powerful free tool available to marketers today. 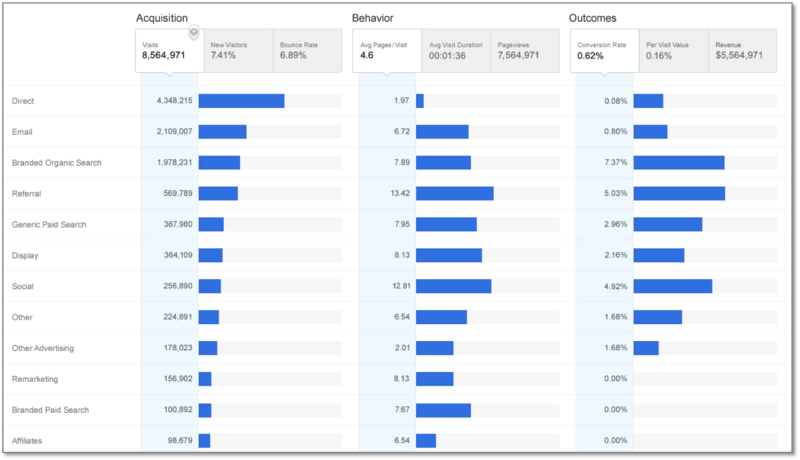 The following blog will give vacation rental managers a general overview of how to use Google Analytics to measure (and improve) their marketing efforts. We’ve tried to make the concepts easy enough for even beginners to understand. We’ll start by breaking down the important information Google Analytics gives you about your website and then end by giving you some guidance on how to use this information to improve your marketing efforts. You can find this information under the audience section of Google Analytics. Watch these numbers carefully. Getting more people to your website and having them view more pages is generally a good sign and can mean more bookings. If your website traffic starts to drop, this should alert you to look closer at why the traffic could be dropping. Unique Visitors (Now Called "Users") – How many unique people have visited your site. Only counts each visitor once. Visits (Now Called "Sessions") – How many actual visits people have made to your site. Counts each visit to your site, even if it is a return visitor. Pageviews – How many pages have been viewed. Each visit can include multiple page views. Most people will view more than one page on your website. You can find this information under the acquisition section of Google Analytics. These numbers are important because they show you what channels are getting visitors to your site. This will help you determine where your marketing efforts are paying off. Search engines (organic) – These are people who found your website via a search engine’s non-paid (or organic) search results. Google no longer tells you what term they were searching for. Paid Search – These are people who found your website via a search engine’s paid search results. You’ll need to be participating in a program like Google Adwords to get these types of results. Google will even be able to tell you what term they were searching. Website Referral – These are people who came to your website via a link on another site. Google will tell you what website they can from. Direct/None – This is an open-ended category which basically means that Google couldn’t track how people found your website. There are multiple reasons for this. The person could have directly typed your website address in their browser. They came via a bookmark. They came from a secure site that strips the referrer information. They clicked on a link in an email client that strips out the referrer information. Campaigns – This is generally a special type of traffic that you are driving yourself. You’ll need to use special URLs to track this type of traffic. Most email marketers will put a special code at the end of their URLs to track people who click on their links. 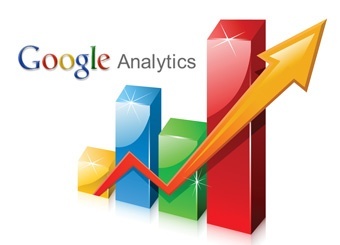 To learn more about tracking your marketing efforts in Google Analytics, click here. How are they interacting with my site? You can find these numbers in just about every section of Google Analytics. You can look at these numbers overall in the audience section, per traffic source in the acquisition section or per page in the behavior section. These stats tell you how your website is handling visitors. Are they engaging with your website or leaving? Improving these numbers will improve the overall conversion and performance of your website. Bounce Rate – The bounce rate of a page is the percentage of people that enter your website via that page (i.e. landed on that page) and then left your website without visiting any other pages. Generally, a high bounce is a bad thing for vacation rental websites because a traveler needs to visit more than one page to find and/or book a vacation rental property. Exit Rate – This is similar to the bounce rate, but slightly different. This measures the rate of people that leave your website via this page. They don’t necessarily have to land on this page, but this page is the last page they visit. Pages with high exit rates are generally performing badly and should be addressed. The only exception would be a booking thank-you page which is only hit after a guest makes a booking. Pages Per Visit – This metric shows you the average number of pages a visitor hits when they come to your website. A higher number of pages per visit is good because it means they are interacting more with your website. How is all this making me money? As a vacation rental manager, you make money when someone makes a booking. While it’s much tougher to track bookings made over the phone, it’s fairly simple to track bookings made online. The key thing you need to look for is the page a visitor is directed to after they submit their booking. On most websites, this is called a thank-you page. You can assume that every time someone hits your thank-you page you got a new booking. So tracking how many time people hit that page is important. In marketing speak, people hitting the thank-you page is known as a conversion. So, your first goal is to find out the URL of the thank-you page. Once you find that you can set up a goal in Google Analytics. For more information on setting up goals in Google Analytics, click here. UPDATE: Google Analytics now has eCommerce tracking. For tracking online bookings, this is an even more powerful way to examine your performance. It tell you things like what property was booked, for how many nights and what the total rental rate was. LiveRez has already pre-installed this code on all its partners websites, but you'll need to enable eCommerce tracking from Google Analytics. Click here to learn how. The next thing you want to do is isolate how people got to your website and the path they took to making a booking. 1. Where did they come from? Find out the traffic source for the conversion under the Conversions > Goals > Overview (then click on "Source / Medium" in left-hand pane). 2. What path did they take to make the booking? Once you’ve set up a goal in Google Analytics, you can see the path to that goal by going to Conversions > Goals > Reverse Goal Path. This will tell you what pages they visited before making the booking. 3. How are your channels are working together? Check this out by looking under Conversions > Multi-Channel Funnels. This will show you an idea of what channels are assisting conversion. For example, let's say the person first came to your website from a Google search. Then they came back to your website after seeing one of your re-marketing ads online and made their booking during that section. It helps you assign the booking credit to both channels. Remember, your marketing channels are always working together. How do I use this information to improve my marketing? 1. Get more people to come to your website (or call / email you). 2. Get them to book one of your properties (or at least give you their information). 3. Make sure you get the best return on investment while completing steps 1 and 2. Am I utilizing all the channels possible to get my brand and my properties in front of potential guests? Can I improve the efficiency of any of my current marketing channels? Where should I be spending my marketing budget and where should I be focusing my marketing efforts to best increase my ROI. Google analytics can help by showing you where traffic to your website is coming from and how much of that traffic is converting to bookings. With this information, you can easily determine where your marketing efforts are improving (or where they need improvement), and you can also easily determine your return on investment for each one of your marketing channels. Next, let’s look at step 2. This deals with how well your website is performing. At this point, you’ve got the traffic to your website. Now you need to make sure your website is converting as much of that traffic as possible to bookings. You can use bounce rates to judge the performance of your landing pages, and exit rates to find pages on your website that may be making your visitors leave. And, you can use pages per visit as a gauge of how engaged your visitors are. As you begin to identify and fix problems on your website, you’ll start to see more of your traffic converting to bookings. If you’re a vacation rental manager that needs help with your marketing efforts, give us a call at (800) 343-2891. LiveRez offers both the technology and the hands-on services you need to improve your marketing. And, we have years of experience and results to back it up.